Doping in sports compromises fair play and endangers health. To deter doping among elite athletes, the World Anti-Doping Agency (WADA) oversees testing of several hundred thousand athletic blood and urine samples annually, of which 1–2% test positive. Measures using the Athlete Biological Passport suggest a higher mean prevalence of about 14% positive tests. Biological testing, however, likely fails to detect many cutting-edge doping techniques, and thus the true prevalence of doping remains unknown. We surveyed 2167 athletes at two sporting events: the 13th International Association of Athletics Federations Word Championships in Athletics (WCA) in Daegu, South Korea in August 2011 and the 12th Quadrennial Pan-Arab Games (PAG) in Doha, Qatar in December 2011. To estimate the prevalence of doping, we utilized a “randomized response technique,” which guarantees anonymity for individuals when answering a sensitive question. We also administered a control question at PAG assessing past-year use of supplements. The estimated prevalence of past-year doping was 43.6% (95% confidence interval 39.4–47.9) at WCA and 57.1% (52.4–61.8) at PAG. The estimated prevalence of past-year supplement use at PAG was 70.1% (65.6–74.7%). Sensitivity analyses, assessing the robustness of these estimates under numerous hypothetical scenarios of intentional or unintentional noncompliance by respondents, suggested that we were unlikely to have overestimated the true prevalence of doping. Doping appears remarkably widespread among elite athletes, and remains largely unchecked despite current biological testing. The survey technique presented here will allow future investigators to generate continued reference estimates of the prevalence of doping. The online version of this article (doi: 10.1007/s40279-017-0765-4) contains supplementary material, which is available to authorized users. We are grateful to Heba Jamal Al Ardah, Juliana Chialvo Arriola, Derek Jon Galotera, Ricky James, Fatma Lanouar, Dmitri Vorobyov, Ong Chin Wei, and Yoon Ji Yu for their help in data collection. We are especially grateful to Olivier Rabin for launching this project and to Georg Sandberger for legal advice. The authors are also grateful to the International Association of Athletics Federations (IAAF) and the Union of Arab National Olympic Authorities for their permissions to distribute the survey at 13th World Championship in Athletics (Daegu, South Korea, 2011) and at PAG 12th Quadrennial Pan-Arab Games (Doha, Qatar, 2011), respectively. The authors also appreciate the comments of the IAAF’s reviewers on previous drafts of the manuscript. This work was funded by the World Anti-Doping Agency/Agence Mondiale Antidopage, Montréal, Canada (WADA). The approximate cost of conducting the study was US$155,000. All authors received travel reimbursement and an honorarium of Can$300 from the World Anti-Doping Agency for their work on designing the study. Andrea Petróczi, Perikles Simon, and Rolf Ulrich have received Grant support from WADA for work on other studies. Léa Cléret was employed by WADA when this survey was conducted. Harrison Pope, Tamás Nepusz, Jay Schaffer, Gen Kanayama, and R. Dawn Comstock declare no competing financial interests. We would note that there was a delay of nearly 6 years between the completion of the data collection and the publication of this paper, due to negotiations between WADA and the IAAF, and subsequently between the IAAF and the authors, regarding the authority to publish the results. This process has been described in reports in the popular media. However, the authors declare that neither WADA nor the IAAF has imposed any restrictions on the authors’ access to the data, the analysis and interpretation of the data, or the writing of this report. This study was conducted under the approval of the Kingston University Science Faculty Ethics Committee (Kingston-upon-Thames, UK), and has been performed in accordance with the ethical standards as laid down in the 1964 Declaration of Helsinki and its later amendments or comparable ethical standards. Martensen CK, Møller V. Drugs. Education, prevention and policy more money—better anti-doping? Drugs Educ Prev policy [Internet]. Informa UK Limited, trading as Taylor 8 Francis Group; 2016;0:000. doi: 10.1080/09687637.2016.1266300. Pitsch W. “The science of doping” revisited: Fallacies of the current anti-doping regime. Eur J Sport Sci. [Internet]. 2009;9:87–95 (cited 2014 Jun 5). Available from: http://www.tandfonline.com/doi/abs/10.1080/17461390802702309. Ulrich R, Schröter H, Striegel H, Simon P. Asking sensitive questions: A statistical power analysis of randomized response models. Psychol. Methods [Internet]. 2012;17:623–41 (cited 2014 Jun 4). Available from: http://www.ncbi.nlm.nih.gov/pubmed/22924599. Dietz P, Ulrich R, Dalaker R, Striegel H, Franke AG, Lieb K, et al. Associations between physical and cognitive doping–a cross-sectional study in 2.997 triathletes. PLoS One [Internet]. 2013;8:e78702. Available from: http://www.pubmedcentral.nih.gov/articlerender.fcgi?artid=3827233&tool=pmcentrez&rendertype=abstract. 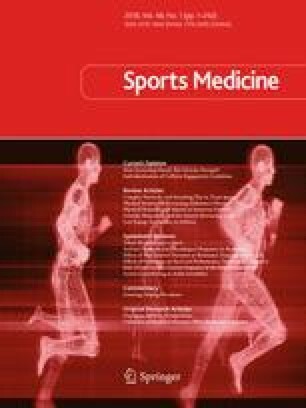 Schröter H, Studzinski B, Dietz P, Ulrich R, Striegel H, Simon P. A Comparison of the cheater detection and the unrelated question models: a randomized response survey on physical and cognitive doping in recreational triathletes. PLoS One [Internet]. 2016;11:e0155765. doi: 10.1371/journal.pone.0155765.